Our Board Members Welcome You! Thank you for visiting our website. Our board members would like to send you a friendly invitation to come and visit our centre. Drop in any time and say hi! 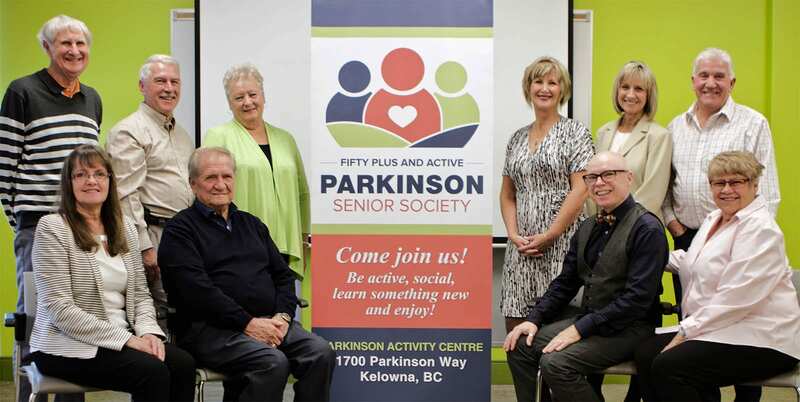 Connect with those in our community that are 50+ and enjoy getting out, taking part in physical and/or social activities, meeting people, trying new things, enjoying new and continuing friendships, and living life to the fullest. We operate with a volunteer Board of Directors that are committed to being involved in their own wellness and that of those that surround them. We have a beautiful, new, state of the art building here at the Parkinson Activity Centre. We welcome you to come and give us a try. We guarantee you that you will love your experience here. Come and try an activity or join us for a coffee or lunch.